Ships tomorrow if you order in the next 24 hours 27 minutes. Occasional breakouts can be irritating and embarrassing sometimes. If you're looking for a natural way to fight acne and support fresh, clear skin, Terry Naturally offers a great option. 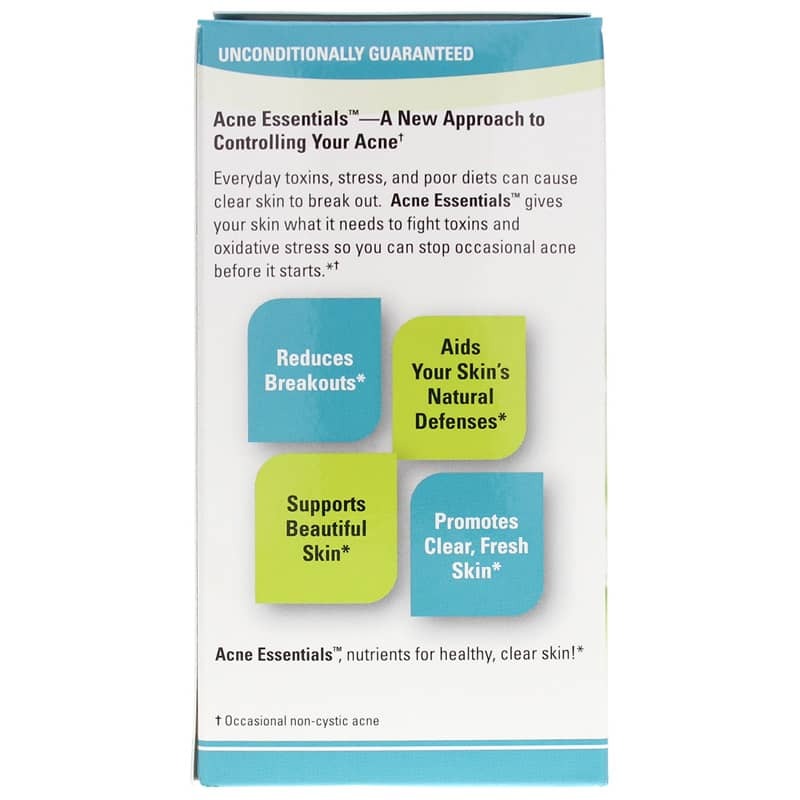 Acne Essentials is a dietary supplement that contains vitamins and herbals ingredients to help reduce breakouts and clear your skin. Everyday toxins, regular stress, and a poor daily diet can all have an effect on your skin health and can cause occasional breakouts. 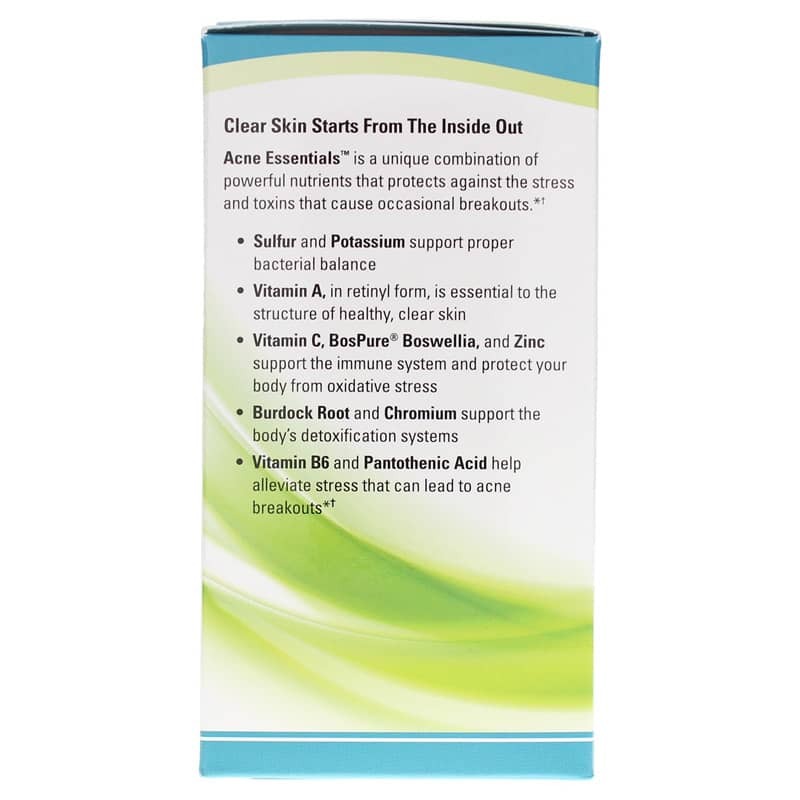 Give the targeted nutrients in Acne Essentials from Terry Naturally a try today, and see the difference it may be able to make in your skin. Order now! 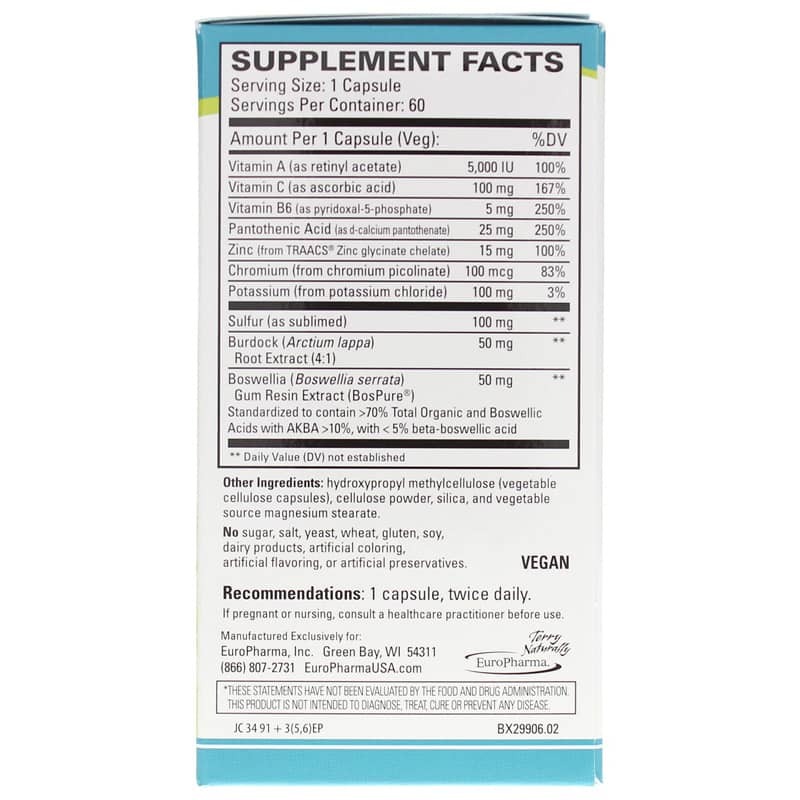 Other Ingredients: hydroxypropyl methylcellulose (vegetable cellulose capsule), cellulose powder, silica, and vegetable source magnesium stearate. Contains NO: sugar, salt, yeast, wheat, gluten, dairy products, artificial coloring, artificial flavoring, or artificial preservatives. Adults: 1 capsule, twice daily. I experienced nasty breakouts once a month due to hormones, stress, and some of the foods that I ate- I also have oily skin. I tried this product and I also drank more water and cut back on sugar. I am ordering my second bottle because I can clearly see the difference in my skin. I did not experience my monthly breakout and my skin is more smooth and even toned. Love this product so far. 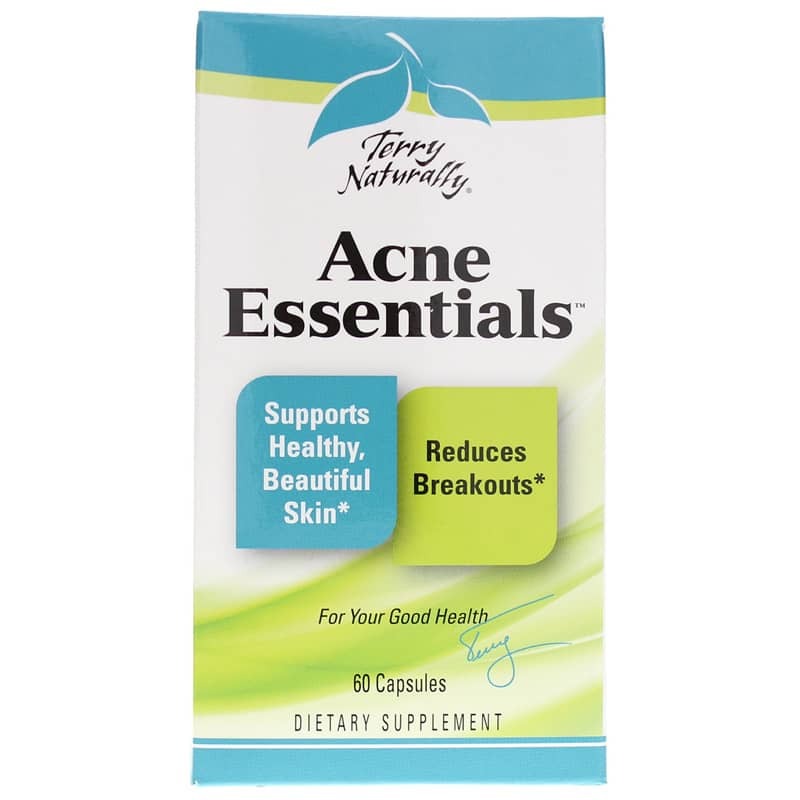 I have used these for a long time they keep my acne under control i absolutely love them and would totally recommend them especially for teenagers with acne problems!